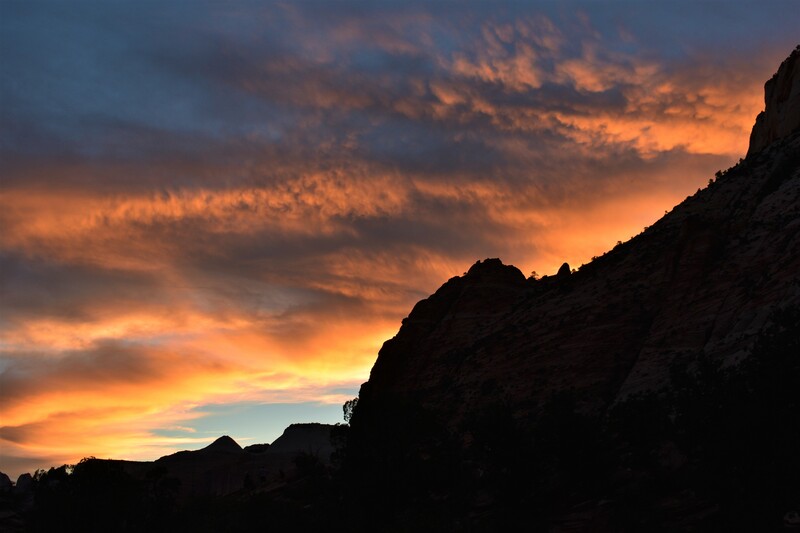 Zion National Park is one of Utah’s most famous National Parks. After visiting the park in the summer of 2017, we now understand why. Slot canyons, the Virgin River, and sheer cliffs rising a thousand feet above the canyon floor provide visitors with awe inspiring views. 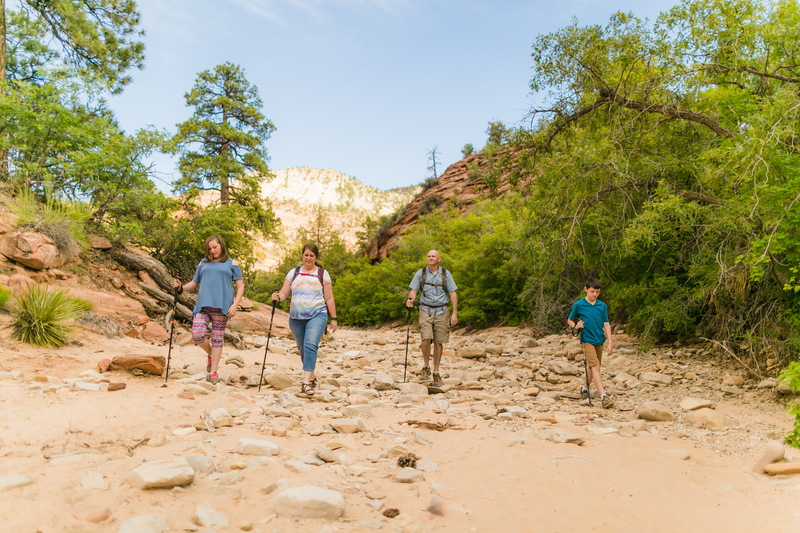 If you and your family are just in the park to do a little sightseeing, or if you are wanting something more adventurous, Zion National Park offers something for everyone. When visiting a National Park the first thing you should always do is visit a visitor center. At Zion National Park the Visitor Center can be found just inside the Springdale Entrance to the park. At the visitor center you can get maps of the park and Junior Ranger books for the kids. You can also find out if any trails that are closed, weather information, and more about the wildlife in the park. At Zion National Park you will have to park at the Visitor Center or in the town of Springdale. Visitors are not allowed to drive down Zion Canyon Scenic Drive. You must park and ride a shuttle to access most of the park.  If you would like to find out more about parking, riding the shuttle bus, and navigating the park, click here. There are several points of interest along Zion Canyon Scenic Drive, and the shuttle bus will stop at all of them. If you just plan to ride the shuttle and do not want to get off at any of the stops, expect the round trip ride to take about 80 minutes. This is a great place to visit later in the day when visiting in the summer. The exhibits in the museum explore the human history of Zion Canyon. You can attend a Ranger-led program, fill your water bottle, enjoy a little cool air, and visit the bookstore. The Court of the Patriarchs is made up of Abraham, Isaac, and Jacob Peaks. You can get a view of these from the shuttle bus, but if you want a closer view you can get off the shuttle and walk a short, but steep trail to the viewpoint. At this stop along Zion Canyon Scenic Drive you will have several activities to choose from. 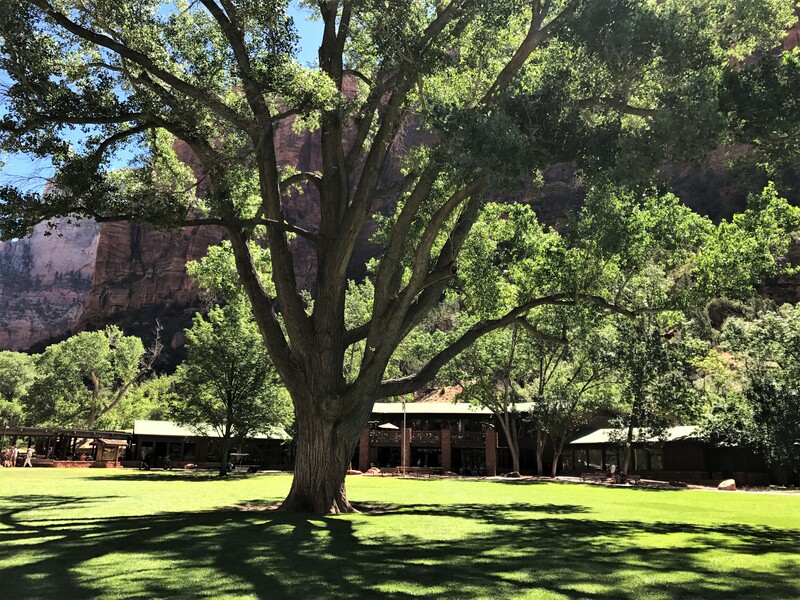 You can take a walk through the historic Zion Canyon Lodge. Inside you will find restaurants and a bookstore. Restrooms and water filling stations can be found near the shuttle bus stop. In front of the lodge is a green space with a large Fremont Cottonwood tree. This is a perfect place to sit and relax in the shade for a while. 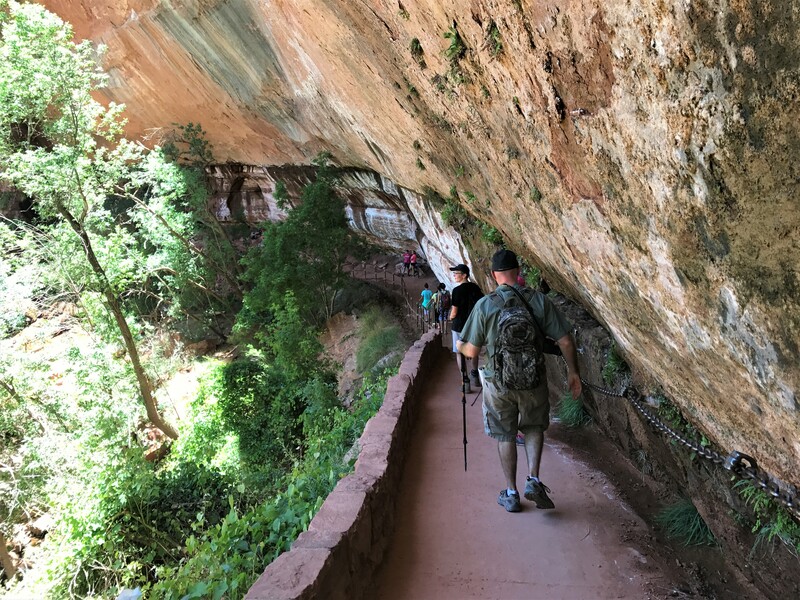 If you are wanting to do a little hiking the trail head of the Emerald Pools Trails (2.2 miles) and The Grotto Trail (.5 miles) can all be accessed from this area. 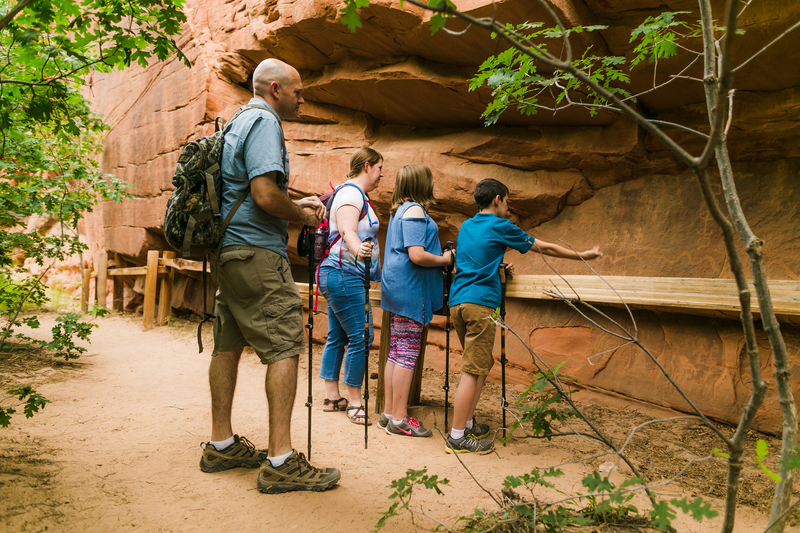 The Grotto area of the park can be reached by shuttle bus, or by taking the Grotto trail from the Zion Lodge. We chose to walk the trail. If you choose to walk the trail it will take you about 30 minutes to walk half a mile to the Grotto. The trail is relatively flat, offers some shade and is a nice break from riding the shuttle. 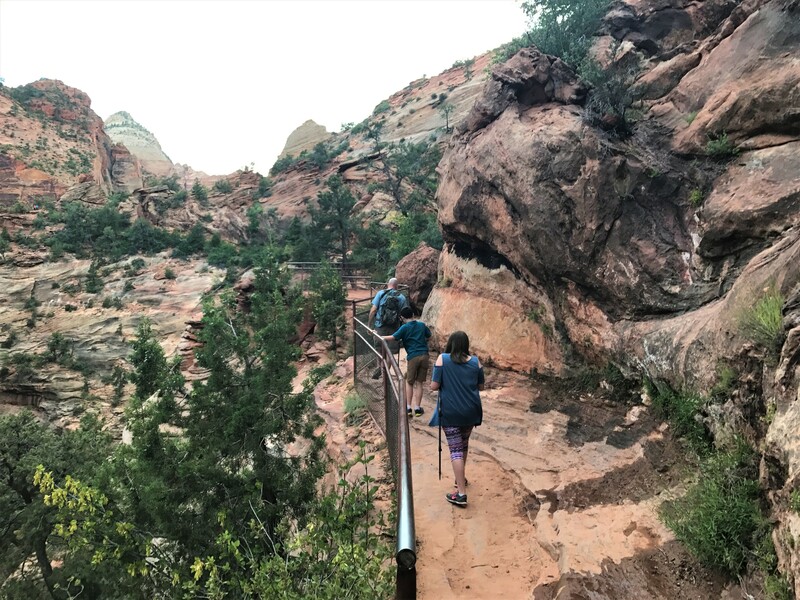 Once you arrive at the Grotto you will find a picnic area, restrooms, and access to the famous Angel’s Landing via the West Rim Trail (5.4 miles). This stop we consider a must when visiting the park. The Weeping Rock is dripping springs that create hanging gardens. When you exit the shuttle to see Weeping Rock you will have to take a .4 mile trail in order to see Weeping Rock. The trail is short, but steep. The closer you get to the weeping rock the trail will also become wet and sometimes slick. This short trail is beautiful and the view from the Weeping Rock is not to be missed. Expect to spend about 30 minutes hiking to and from the Weeping Rock. This stop along the drive offers beautiful views of a bend in the Virgin River. We were not expecting to get off the shuttle at this stop, but once we saw the view we had to get off. We were in awe of the cliffs towering almost straight up all around us. You can often see rock climbers climbing these cliffs and we were lucky enough to watch someone climbing using our binoculars. We also had a great view of the top of the famed Angel’s Landing trail. If you want to get a good view of the hikers, you will need to bring your binoculars. This stop is known as the gateway to the Narrows. If you are not wanting to hike or use the restrooms, you can probably skip this stop. If you are looking to do a little hiking you can take the Riverside Walk. This paved hike is 2.2 miles round trip and is considered to be an easy hike. It is wheelchair and stroller accessible, but wheelchairs may need assistance along the trail. Zion National Park offers many hiking opportunities. Depending on the amount of time you have available and your ability level there is a hike for everyone! The Emerald Pools Trail is a great option if you are only in the park for a day. 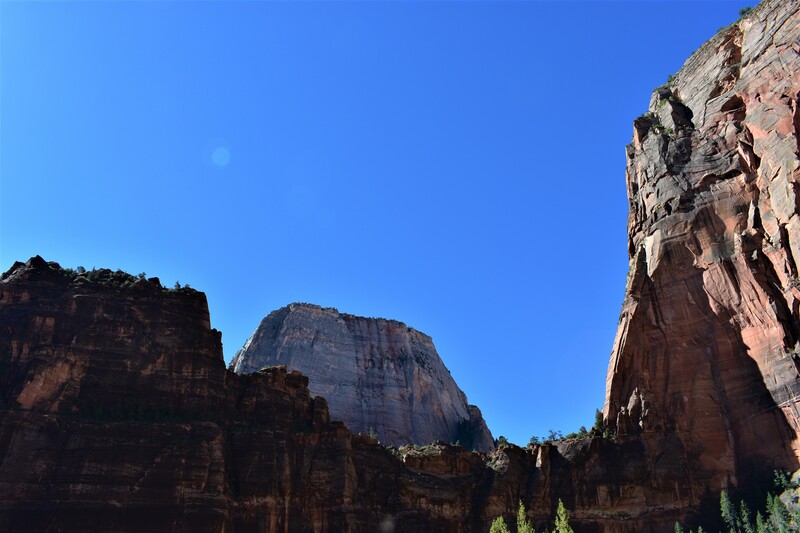 Combine this trail with the stops along Zion Canyon Scenic Trail and you will have made a day of visiting the park. The Lower Emerald Pool Trail is 1.2 miles long and is paved. It will lead you to the Lower Emerald Pool and to waterfalls. If you choose to only hike this part of the trail you will need to give yourself about 1 hour. We chose to keep going to the Upper Emerald Pools and one of us actually made it to the top after we had a detour along the trail. The Upper Emerald Pool Trail is 1 mile and will take you about 1 hour to hike. The trail is not paved and if you are not careful you can miss a sign showing you which way to go. In the summer months this trail can get quite crowded. We along with 2 other families, missed a sign that was blocked by other hikers and we followed the family in front of us the wrong direction. We went quite a ways until we realized it was just not safe for the kids to go any further and we all turned around. Once we got back to where we made the wrong turn, we realized our mistake and Blaine decided to go on up the rest of the trail. The kids and I sat in the shade and they played in the cool water. Even with our detour this was a fun hike! Our one tip is to watch for signs a little closer than we did and if you start thinking this can’t possibly be the right way, you are probably right! This is my family’s favorite hike of all time! If you are planning on doing both The Riverside Walk and The Narrows we suggest giving yourself most of the day for the hike, but really you can do as much or as little of the hike as you have the time and energy for. The Riverside Walk is 2.2 miles and is paved. About a mile into the trail you will come to the beginning of the Narrows trail. When they say trail, they are really meaning the Virgin River. More than half of the hike is spent wading, walking and even swimming in the river. The Narrows trail is 9.4 miles, but you can turn around at any time. We started the hike at 9:00 in the morning, and even though it was the middle of June, it was in the lower 60’s and the water temperature was 53 degrees. We really thought the kids would want the turn around after the first bend in the river, but we were in awe of the beauty of this hike and just kept going. We ended up getting back to the shuttle bus at 2:30 and had hiked a total of 8 miles. We were tired, a little sunburned and still exhilarated by the beauty of this hike. There is really no way to describe the soaring walls of red rock above you, the springs and the hanging gardens. We have never experienced anything quite like it. 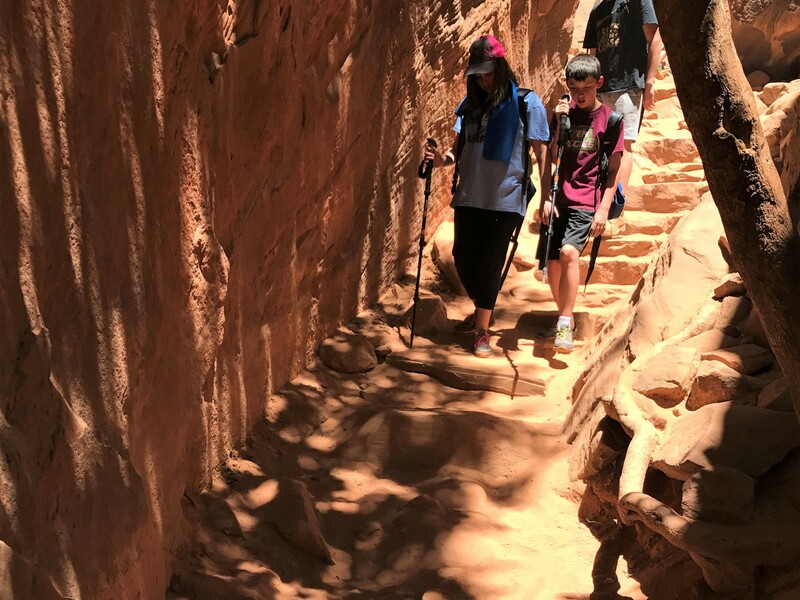 The National Park Service does not recommend this hike for children, but our 10 and 12 year old children did great. 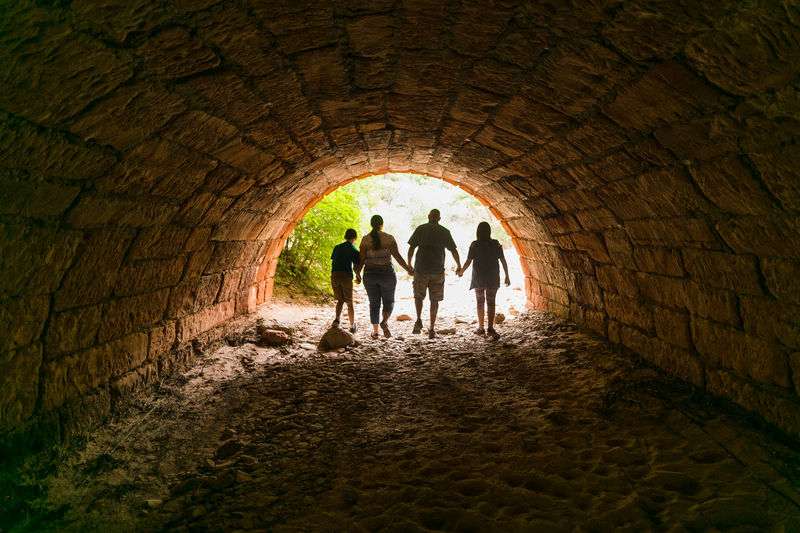 Before taking this hike with your children, make sure you visit with a park ranger to find out the river level and safety precautions you should take. If you plan to hike The Narrows watch for our next blog post dedicated solely to this hike. We will give more details about the hike, including the gear you will need to enjoy this hike to the fullest. Want to see a gorgeous sunset? Take the Canyon Overlook Trail in the evening. 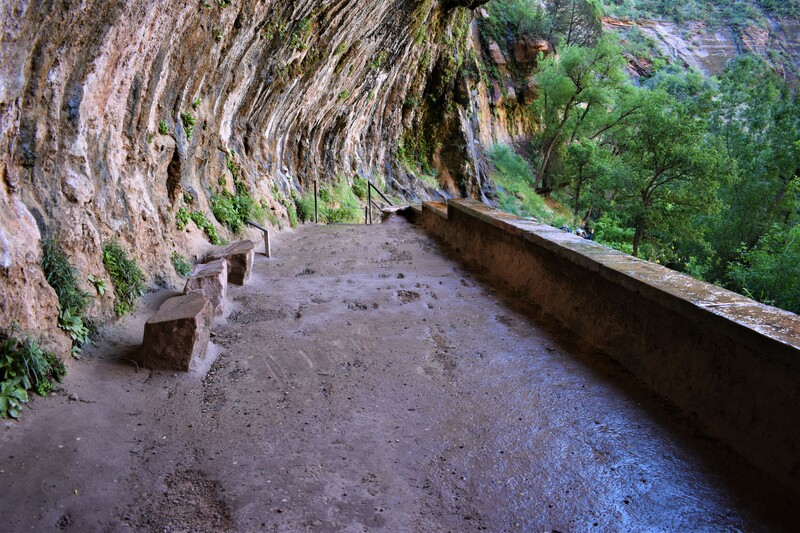 This trail can be found on the Zion-Mount Carmel Highway on the east side of the tunnel. As you go through the tunnel heading east the trail head can be found just to the left as you exit the tunnel. The trail will take you about 1 hour to walk 1 mile and is considered to be a moderate hike. As you hike along Pine Creek Canyon and Zion Lower Canyon the trail can be rocky and uneven. This is not a hike I would take with young children, but our 10 and 12 year old did great. At one point on the trail we were stopped by a mountain goat that was eating along the trail. Her baby was on the other side of the trail and the momma would get quite aggressive when someone approached. We just all stood back and waited for her to move on and then continued along the trail. When you arrive at the end of the trail, there are long drop-offs but there are fences in place for safety. If you are hiking at sunset, remember to bring a flashlight. It gets dark quickly and it is not safe to walk back along the trail in the dark. If you are like us, you have one person in your family that takes most of the action shots while you are hiking. So at the end of the hike that person is in very few of the photos taken. We found the answer to this problem when we were at Zion. 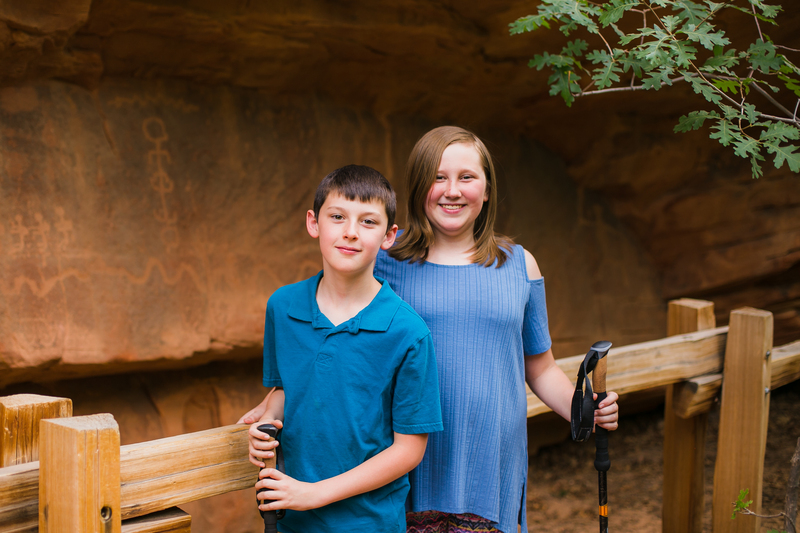 We had the pleasure of having Arika with Zion Adventure Photog accompany us on a hike and take pictures of our family. We had met Arika through social media, but were still a little nervous about having someone we did not really know go with us on a 1.5 hour hike. From the moment Arika met us on the trail, we knew we had nothing to worry about. She made all of us comfortable and it was like we were hiking with an old friend who just happened to be taking pictures of us along the way. The best part is we got to go on a secret hike that only the locals really know about and we got some amazing family photos. 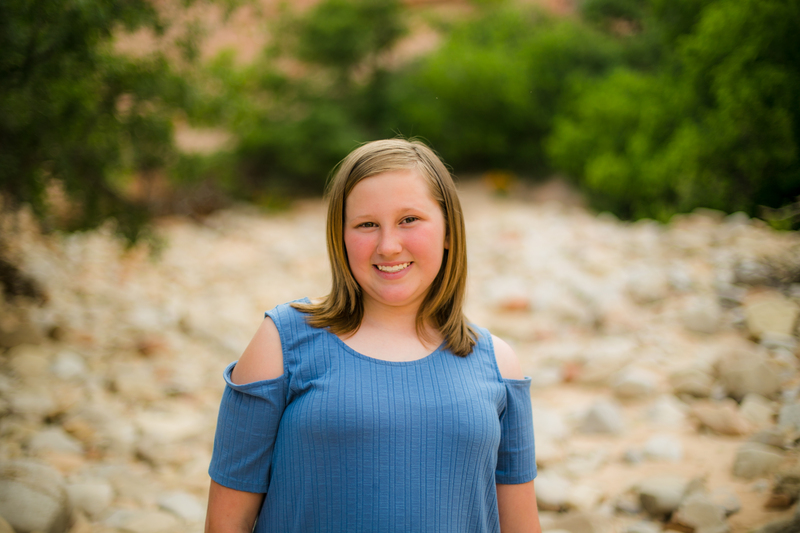 So if you are looking for a great souvenir to bring home from Zion, make sure you contact Arika with Zion Adventure Photog and don’t forget to tell her we said hi! 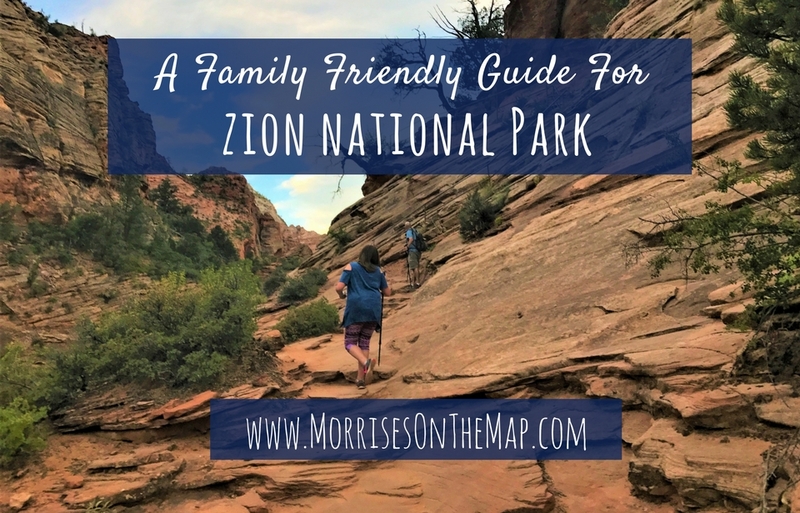 Zion is a beautiful park that both young and old can enjoy.Our hope is that by sharing our family’s experience at Zion National Park, we have helped you to plan your families trip. 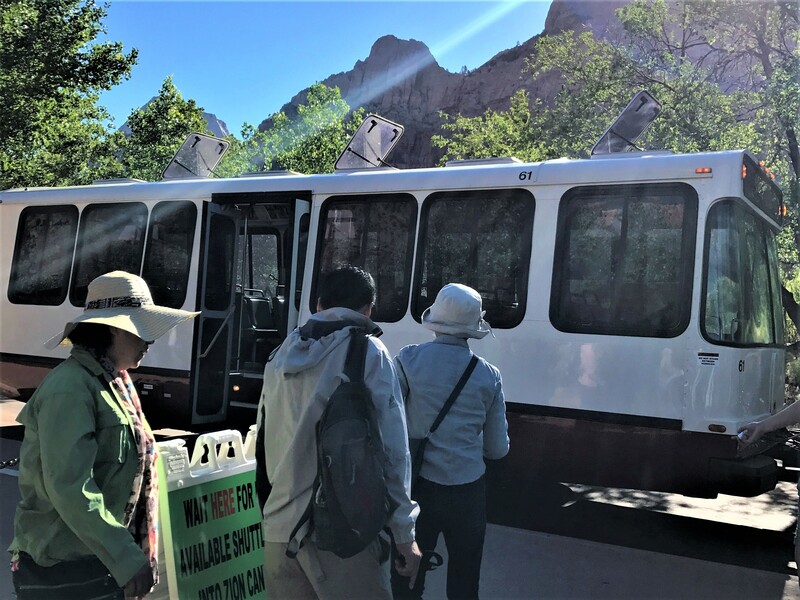 Remember to read Navigating Zion National Park to find out where to park, shuttle bus information and tunnel requirements. 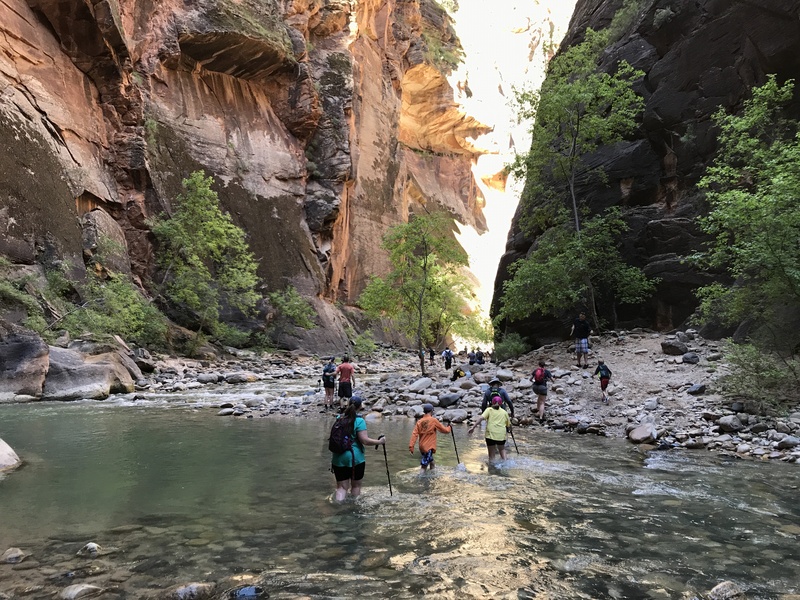 If you are planning to hike The Narrows, check back soon for the next installment of our Zion series, How to Hike The Narrows. Do you still have questions about visiting Zion or have a family friendly activity to share? Leave us a comment! Visiting the Grand Canyon? 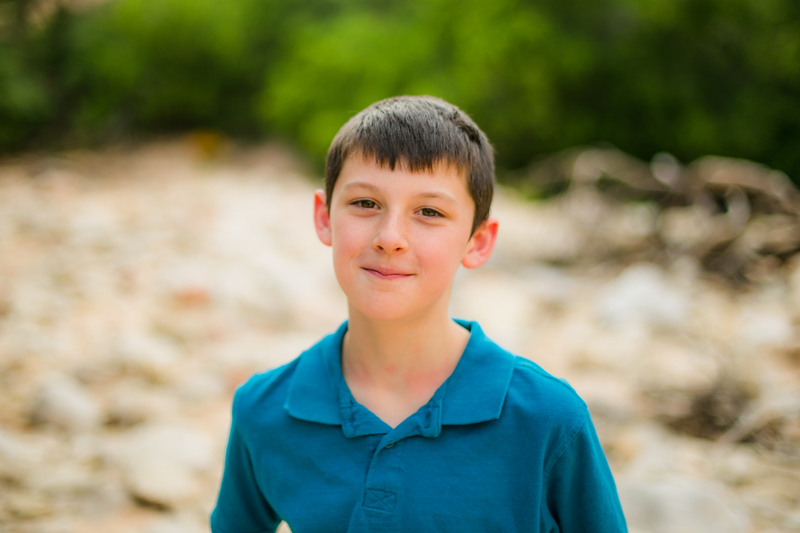 Read A Family Friendly Guide for the Grand Canyon.